In previous quarters, we documented the addition of two lines for Arkansas in the summaries. One line for the 1st Arkansas (US) Light Artillery Battery. And the second for a detachment from the 1st Arkansas (US) Cavalry. The “US” distinction is my addition here to ensure clear distinction from the Confederate units with the same designations. These were unionists, recruited into Federal army, and serving in Arkansas and Missouri. Captain Denton D. Stark received authorization to form the 1st Arkansas Battery in January 1863. The battery first organized at Fayetteville, Arkansas, then moved to Springfield, Missouri to fill out the ranks, obtain equipment and horses, and train. Though in June the battery appeared on the order of battle, it did not formally muster until the end of August. The 1st Arkansas Cavalry formed in the fall of 1862 under Colonel Marcus LaRue Harrison. The regiment was very active from formation through the fall of 1863. 1st Arkansas Artillery Battery: At Fayetteville, Arkansas with six 3-inch Ordnance rifles. As stated above, Captain Denton D. Stark commanded this battery, assigned to the District of Southwest Missouri. The battery received the six rifles on July 1, 1863 and commenced drilling. On September 7, a section under Lieutenant Robert Thompson accompanied an expedition out of Springfield for Fayetteville. The column was diverted in pursuit of Confederate raiders under Colonel John T. Coffee. After a brief fight in September 18, the expedition, with Thompson’s section, continued to Fayetteville which they reached on September 20. The remaining sections left Springfield on September 21, arriving in Fayetteville on the 29th. Throughout this period, the battery’s service was closely matched to the 1st Arkansas Cavalry. 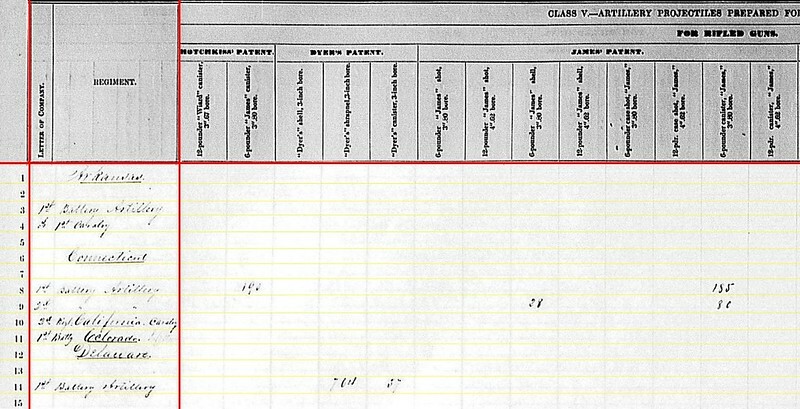 Detachment of 1st Arkansas Cavalry: Also reporting at Fayetteville, Arkansas, but with two 12-pdr mountain howitzers. The regiment, under Colonel Marcus LaRue Harrison, was part of the District of Southwest Missouri. 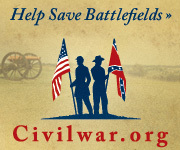 An active summer and fall, with duties scouting and in response to Confederate raids. A detachment of five companies was on the expedition to Fayettville, mentioned above, which was redirected after Coffee. The howitzer section is mentioned in returns with (though not necessarily assigned to) Company C of the regiment during the movement to Fayetteville. On September 21, the remainder of the regiment marched from Springfield to join the lead elements at Fayetteville. So eight pieces of artillery, between the 1st Battery and the 1st Cavalry of Arkansas unionists, were at Fayetteville, at one of the furthest reaches of the Federal army. And worthy of note, these two units filed prompt returns… relatively speaking. Looking to the ammunition on hand. 1st Cavalry: 36 shells, 132 case, and 12 canister for 12-pdr mountain howitzers. 1st Battery: 59 canister, 252 percussion shell, 112 fuse shell, and 462 bullet shell for 3-inch rifles, again of Hotchkiss type. It appears Stark’s battery boasted full ammunition chests. We can skip the next two pages of rifled projectiles, with no Dyer’s, James’, Parrott’s, or Schenkl’s types on hand. 1st Battery: Twenty-six Army revolvers and twenty horse artillery sabers. By the fall of 1863, Arkansas unionists also contributed another cavalry regiment and an infantry regiment. In the months that followed, the unionists would form two more cavalry and two more infantry regiments. Though no more artillery batteries. Further, and certainly a separate effort from the recruitment of unionists, three infantry regiments of USCT were formed in or associated with Arkansas by the end of the fall. Another infantry regiment along with a light battery would follow in 1864. Summary Statement, 2nd Quarter, 1863 – Arkansas, California, Colorado, Connecticut, and Delaware! Yes, right up top, we see “Arkansas” with two lines – one for an artillery battery and the other for a detachment serving with cavalry. Below that we see formal headings for Connecticut and Delaware. However, shoved under the Connecticut header are entry lines for a California cavalry detachment (with a howitzer on hand) and the 1st Colorado Battery. This pulls several entries off the “Batteries that were overlooked” from the previous quarter. Huzzah for good record keeping! 1st Connecticut Light Artillery Battery: Reporting at Folly Island, South Carolina with six 3.80-inch James Rifles. Captain Alfred P. Rockwell remained in command, with the battery still assigned to Tenth Corps, Department of the South. However, a more accurate location would be Beaufort, as the battery remained there until later in the summer, when it did move (with other reinforcements) to Folly and Morris Islands in support of the campaign against Battery Wagner. 2nd Connecticut Light Artillery Battery: At Taneytown, Maryland with two 12-pdr field howitzers and four 3.80-inch James Rifles. The Gettysburg nutcases fanatics students will remind us this was the only Federal battery at Gettysburg with James rifles and 12-pdr field howitzers. As part of the transfer of garrison troops from Washington to reinforce the Army of the Potomac, Captain John W. Sterling’s battery became part of the 2nd Volunteer Brigade, Artillery Reserve. 1st Delaware Light Artillery Battery: At Camp Barry, Washington, D.C. with six 3-inch Ordnance Rifles. Captain Benjamin Nields’ battery traveled a lot during the spring and early summer of 1863… but never left the Eastern Theater. In April, the battery proceeded to Norfolk, where it reinforced the Seventh Corps as Confederates threatened that point and Suffolk. The battery was still with the Seventh Corps for Dix’s campaign, or demonstration if you prefer, on the Peninsula in June-July. Then on July 8, the battery was ordered back to Camp Barry in Washington. Please note we do not see a listing here for Battery M, 1st Connecticut Heavy Artillery, which had on hand 4.5-inch rifles, and were in the field supporting the Army of the Potomac (if not actually at Gettysburg). 1st Arkansas Artillery Battery: At Springfield, Missouri with six 3-inch Ordnance rifles. The battery formed with troops at both Springfield and Fayetteville, Arkansas during the early months of the year. Fully manned, the battery was posted to Springfield through the summer. Captain Denton D. Stark commanded this battery assigned to the District of Southwest Missouri. Detachment of 1st Arkansas Cavalry: At Fayetteville, Arkansas with two 12-pdr mountain howitzers. This regiment was among those defending Fayetteville against a Confederate attack in April. I am not sure if the two howitzers were formally assigned to one of the companies. The regiment, under Colonel Marcus LaRue Harrison, would see duties across Southwest Missouri and Northwest Arkansas through the summer and early fall. I will save the rest of that story for someone to write on a “To the sound of Clashing Sabers” blog. Detachment of 3rd California Cavalry? 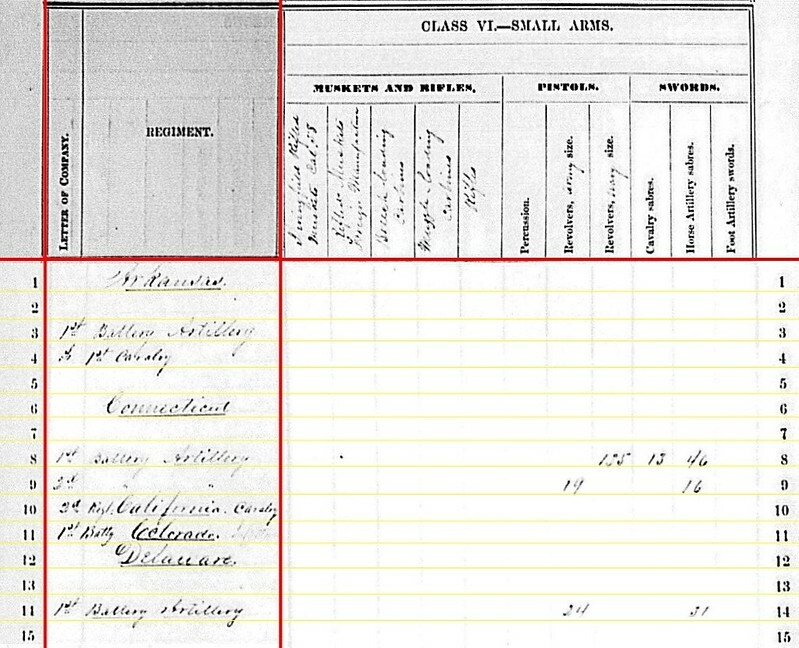 : The notation clearly says “Cavalry”… but there was no 3rd California Cavalry. There was, however, a 3rd California Infantry and it had reported artillery on hand back in December 1862. However, the location is given as Camp Independence, California. And it is the 2nd California Cavalry which is most associated with that outpost in the Owen’s Valley. Let us just say that “A California Detachment” had one 12-pdr mountain howitzer for our purposes. 1st Colorado Artillery Battery: at Camp Weld, Colorado Territory with no cannon reported. There is an annotation after the state name which is illegible. Records show this battery posted to Fort Lyon, and under the command of Lieutenant Horace W. Baldwin, at the end of June 1863. In July the battery moved to Camp Weld. Not sure what cannon were assigned at this time. However in December 1863 the battery reported four 12-pdr mountain howitzers. So that’s the likely answer. How’s that for “rounding out” the list? We will see more of these missing batteries and detachments accounted for as we continue through the second quarter, 1863. 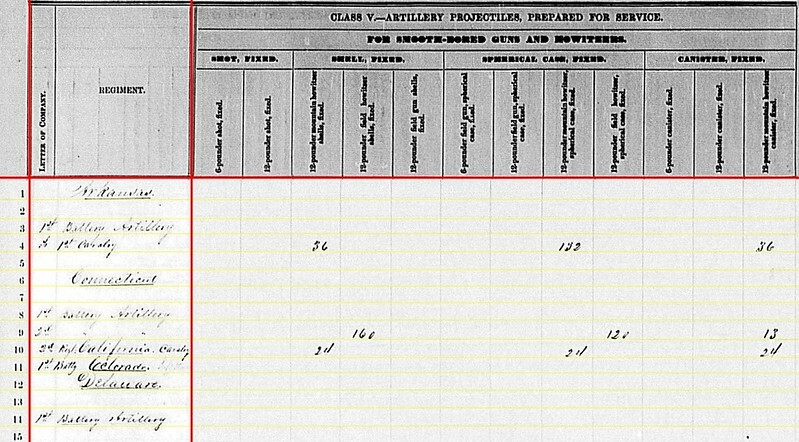 1st Arkansas Cavalry: 36 shell, 132 case, and 36 canister for 12-pdr mountain howitzers. 2nd Connecticut Battery: 160 shell, 120 case, and 13 canister for 12-pdr field howitzers. California Detachment: 24 shell, 24 case, and 24 canister for 12-pdr mountain howitzers. Those entries seem in line with expectations. 1st Arkansas Battery: 84 canister, 84 percussion shell, 156 fuse shell, and 480 bullet shell for 3-inch rifles. 1st Connecticut Battery: 90 percussion shell, 120 fuse shell, and 468 bullet shell for 3.80-inch James rifles (and we’ll see another column of Hotchkiss on the next page). 2nd Connecticut Battery: 49 fuse shell and 191 bullet shell for 3.80-inch James rifles. 1st Delaware Battery: 172 shot, 238 canister, 545 percussion shell, and 121(?) fuse shell for 3-inch rifles. Very interesting the Delaware battery had so many shot, or “bolts”, on hand. Particularly given their service in southeastern Virginia. Though it is likely the result of them having on hand what was issued, as opposed to any specific tactical requirement. 1st Connecticut Battery: 190 canister for 3.80-inch James. 1st Delaware Battery: 764 shrapnel and 37 canister for 3-inch rifles. 1st Connecticut Battery: 185 canister for 3.80-inch James rifles. 2nd Connecticut Battery: 28 shell and 80 canister for 3.80-inch James rifles. 1st Connecticut Battery: 978 shells for 3.80-inch James. 2nd Connecticut Battery: 320 shells for 3.80-inch James. So the 1st Connecticut had plenty of everything from everyone! 1st Connecticut Battery: 135 Navy revolvers, thirteen cavalry sabers, and forty-six horse artillery sabers. 2nd Connecticut Battery: Nineteen Army revolvers and sixteen horse artillery sabers. 1st Delaware Battery: Twenty-four Army revolvers and thirty-one horse artillery sabers. Yes, I would like to have seen a good accounting for the 1st Arkansas and 1st Colorado batteries here. Would certainly add to some discussions about reeactor impressions, to say the least! But from the data we do have presented here, I am most drawn to the 1st Connecticut Battery. Not only did that battery, posted to South Carolina, have a wide variety of projectiles (by pattern, that is), but also a large number of pistols.